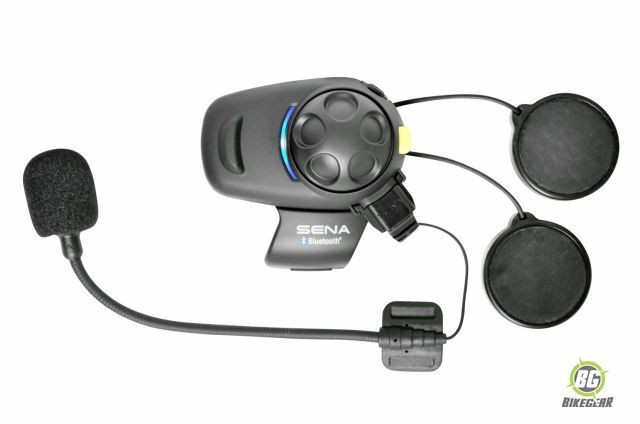 The Sena SMH5 motorcycle intercom offers a lot of performance at a price that is hard to beat. 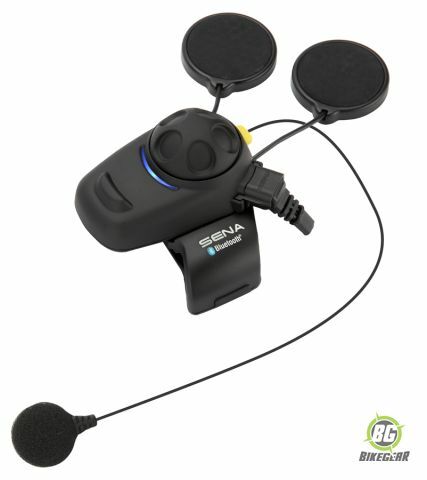 This compact, easy to use and feature-rich headset for motorcycle communications is designed for riders who require must-have features at an affordable price. The mounting system is simple and robust. 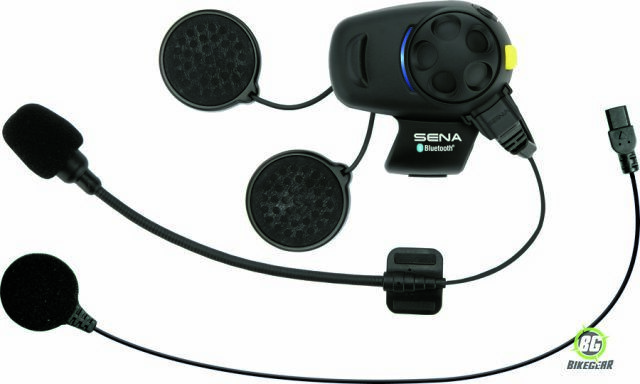 The SMH5 slides on to an all-metal helmet mount and a single connector cable connects the headset, microphone and speaker assembly. 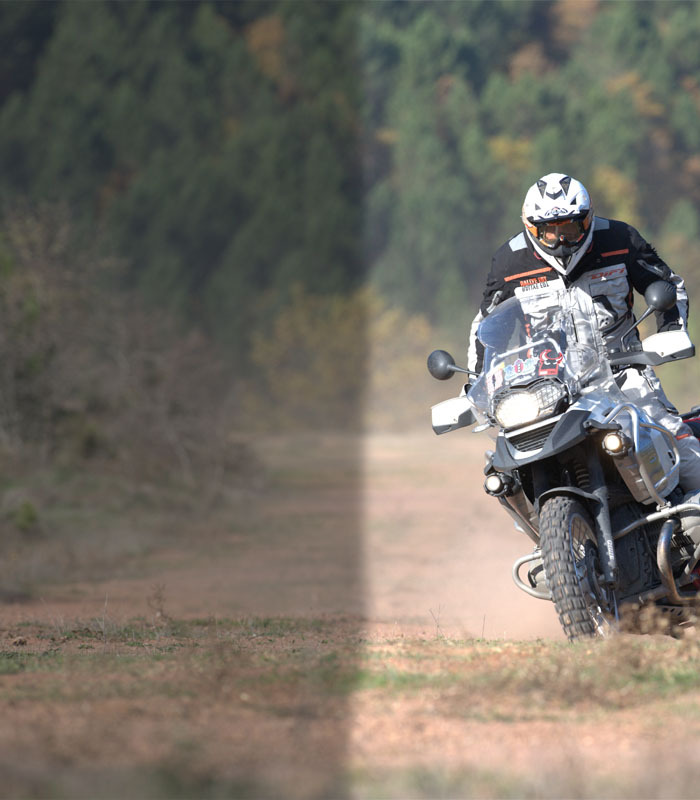 Ease of use is further enhanced with Sena’s patented jog dial– one dial controls all major functions making operation while riding a safe and hassle free experience. 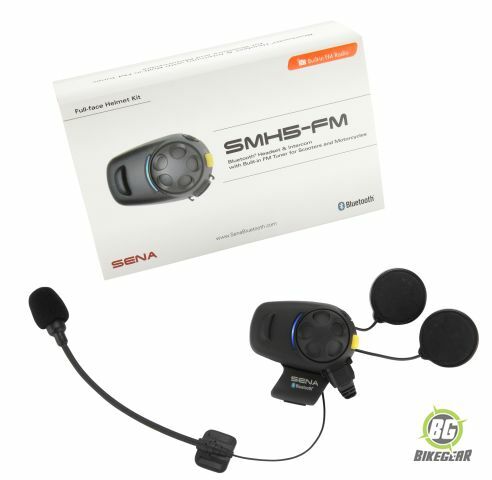 Click here for an in-depth review and comparison of all the features of the Sena SMH5 Bluetooth motorcycle intercom headset. – Bluetooth intercom up to 700 meters (760 yards – in open terrain). – Built-in FM radio tuner with station scan and save function. – Bluetooth pairing for dual mobile phones. – Bluetooth stereo headset for Bluetooth audio devices such as MP3 players. – Bluetooth music playback control by AVRCP. – Easy operation by versatile Jog Dial (Patented). – Sufficient sound level with integrated audio booster. – Bluetooth hands-free for Bluetooth mobile phones. – Bluetooth headset or stereo headset for Bluetooth GPS navigation. – Water resistant for use in inclement weather. – Crystal clear and natural sound quality. – Up to 7 hours talk time, 6 days stand-by time. -Can be used while charging on road trips. – Individual volume control for each audio source. – Peace of mind – thanks to the two-year warranty.